This procedure is only applicable if you are running a version prior to 5.4. 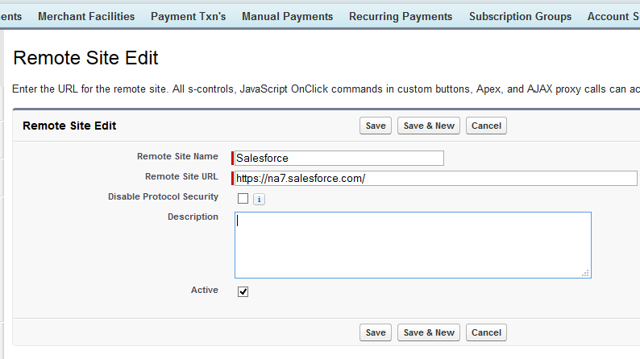 In order to use the Annual Statements, you need to setup a Remote Site setting that Payments2Us to mass generate the Annual Statement PDF documents. Add a new Remote Site. 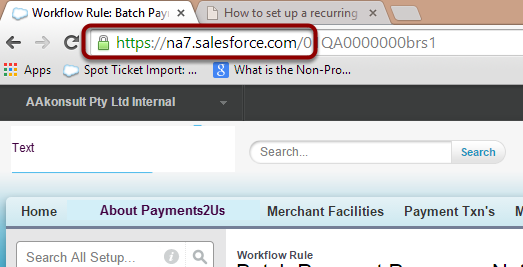 Enter a name “Salesforce”, then paste the URL from step 1 into the Remote Site URL, select active and Save. Next: Which workflow will suit?